A visit to the Saskatoon Forestry Farm Park and Zoo offers a rare opportunity to see a wide variety of animals – from an African pygmy hedgehog or a burrowing owl, to a mountain goat, suri alpacas, and lions. But simply observing animals in captivity offers a very narrow perspective. What if you could also feed them or make toys for them? The Saskatoon Zoo Society is a non-profit organization that was formed to provide educational opportunities based around the wildlife at the Saskatoon Zoo. The Society offers over 400 educational programs every year to pre-schoolers, school children, and families. Children have an opportunity to spend time with the animals and to observe their behaviour. “The hawk has a specific cry when it is hungry, and the porcupine will sniff your feet and look you in the eye,” Greg says. Preschool Twice a year, the Zoo Society staff run a morning program for kids ages 4 and 5. It’s so popular that the spring session, which doesn’t begin until May, sold out immediately. Fortunately, they have been able to add an extra session on Friday mornings. Creature Feature Storytime runs from November 29 to December 14. Pre-schoolers listen to a story and meet one of the story’s animal characters. Camps The Zoo Society offers a variety of different camps for older children. There are PD Day Camps, a three-day camp over the February break, and week-long camps in the summer. The summer camp for 11 to 14 year olds includes a sleepover, a canoe trip, and visits to Pike Lake and Beaver Creek. 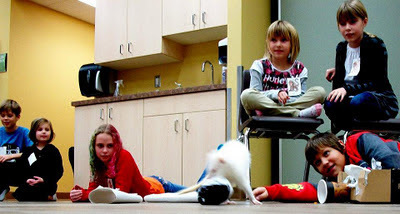 Drop-In Programs Family Day in July is the very best time to visit the Zoo as the Zoo Society has the zoo for the day and they organize interactive displays and entertainment. 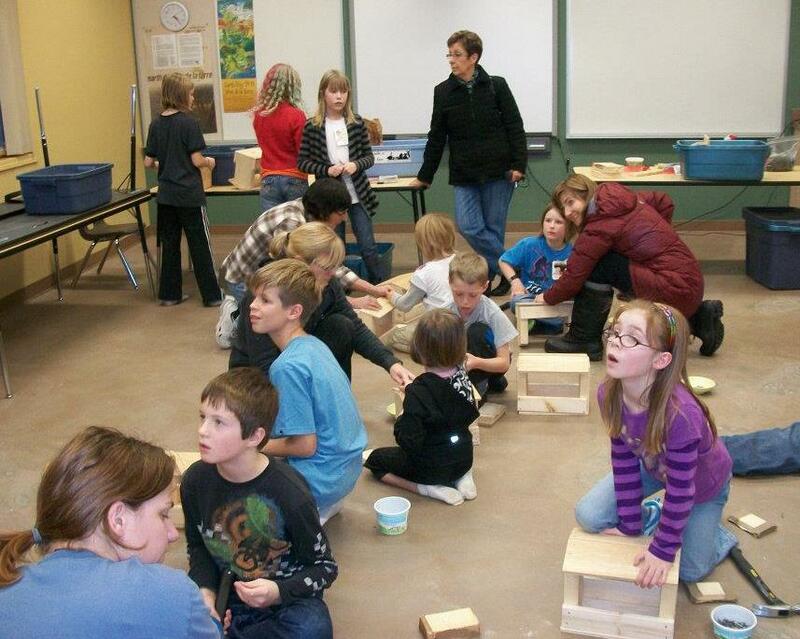 There are drop-in interpretive programs during the Christmas and Easter holidays as well. For one and a half hours in the morning and the afternoon, you’ll be able to meet one of the animals and find out more about its habits and behaviour from the Zoo Society employees. The program offerings for school classes range from a one-hour session at the school to half- or full-day programs at the zoo. The Affinity Learning Centre, with three state-of-the-art classrooms, gives staff the opportunity to talk to the students before moving out into the zoo. “It gives the kids a deeper understanding of the interconnections between all living species,” Greg explains. Grade One students enjoy the opportunity to stroke a rabbit, but they are also learning how to classify animals based on their skin cover (fur, feathers, scales, slime). Math and nutrition stop being abstract school subjects when students are assigned an animal and have to determine what types of food the animal eats, how many calories they need, and the most appropriate combination (chicken, rats, mice). The children then weigh and chop the food and feed the animal. 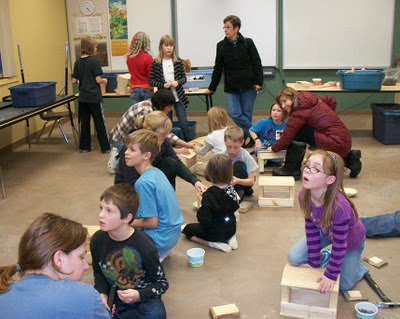 The Saskatoon Young Naturalists, co-sponsored by the Saskatoon Zoo Society and the Saskatoon Nature Society, offer regular outings and activities that are geared to the 5-to-11-year-old range. Children and their parents can poke, prod and explore nature, and Greg Fenty is on hand to point out interesting features and answer questions. There is a huge demand for the Zoo Society’s programs, but resources are limited. There are three full-time coordinators, all of whom have degrees in education, as well as a part-time office administrator. They hire extra staff in the summer to run the camps, which gives the permanent staff an opportunity to timeshift and offer some public weekend programs, but they cannot normally provide both week-day and weekend programming. The Zoo is also relatively small, and there are a limited number of socialized animals that can be included in the programming. In addition, many of these animals are now seniors, and there are no plans yet in place to replace them. Membership fees fund 25% of the Zoo Society’s activities. Family membership is a bargain as it includes free admission to the zoo and discounts on all the educational programs. You can also Adopt-a-Critter of your choice. 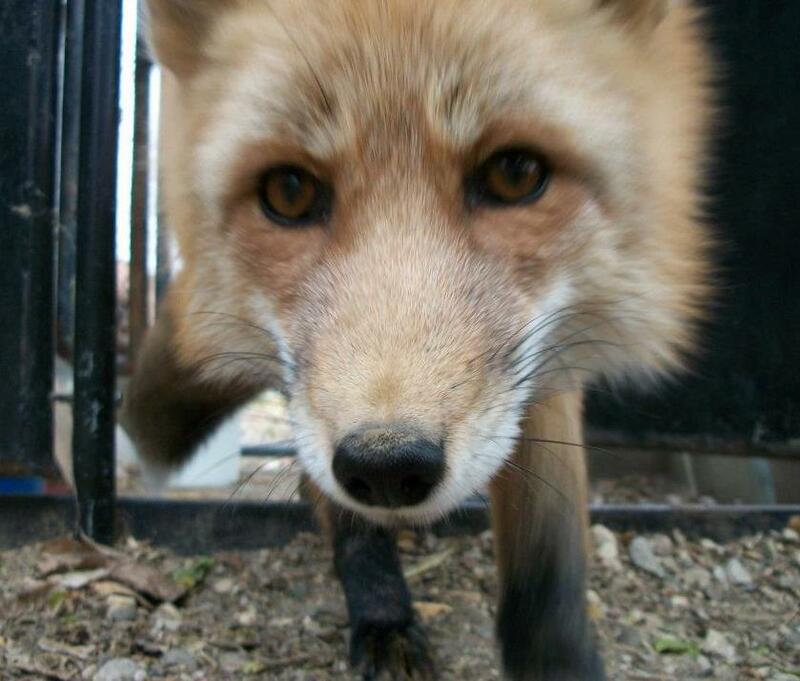 The funds are used to enhance the living conditions of the animals and to support the educational programs. The Saskatoon Zoo Society also welcomes special event and education volunteers.